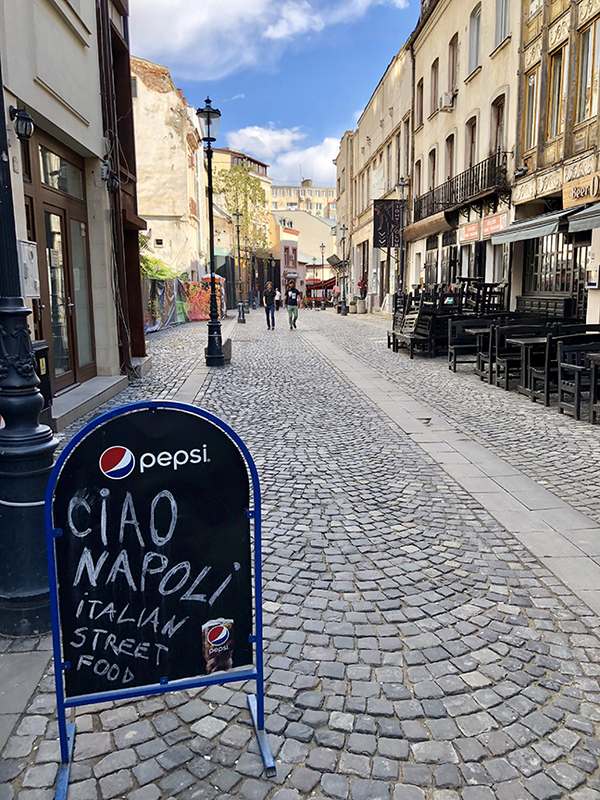 Spent my last day in Romania walking around the city of Bucharest. 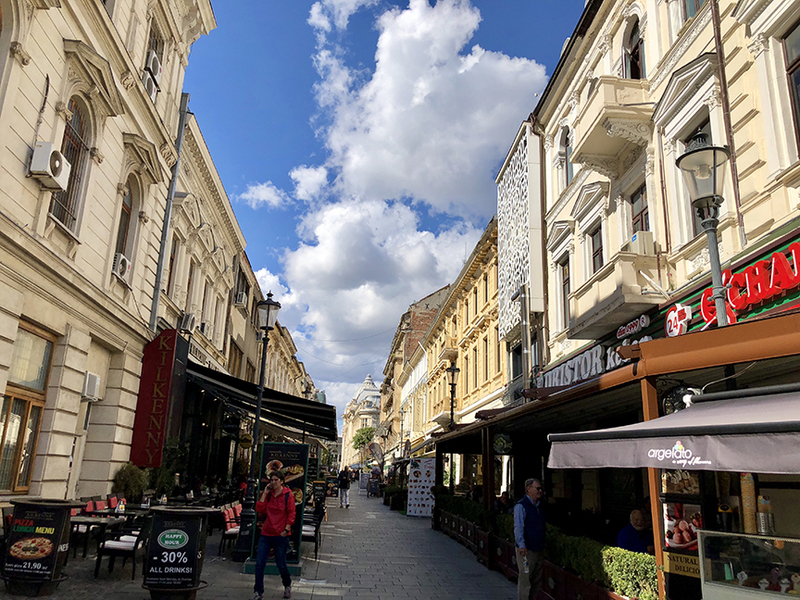 One last walk through the streets of Bucharest to send off my postcards to the United States. 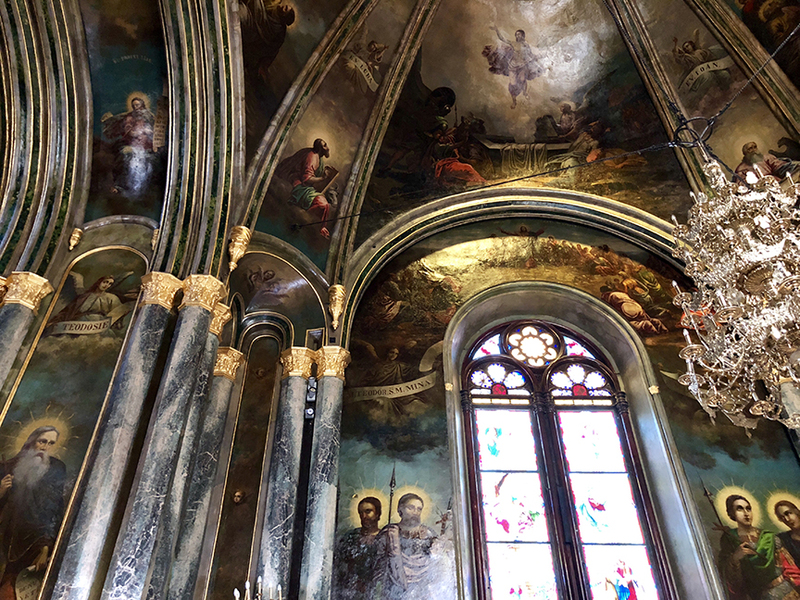 The Saint Spyridon the New Church (Romanian: Sfântul Spiridon Nou) is a Romanian Orthodox church in Bucharest, originally built with gothic influences in 1860. 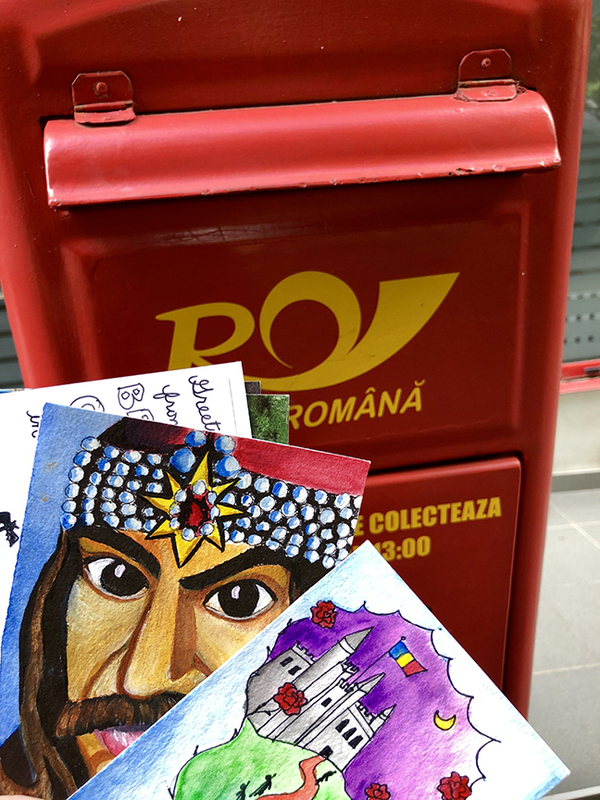 Sending off the watercolored postcards that I created in Romania for my friends back in the United States. 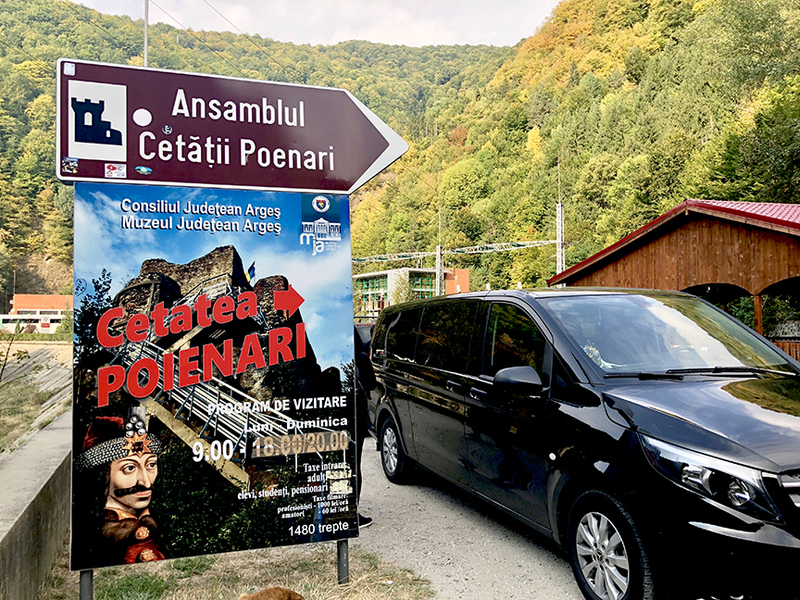 The next day we took a private tour of Transylvania, we wanted to visit both Poenari Fortress and Castle Bran. 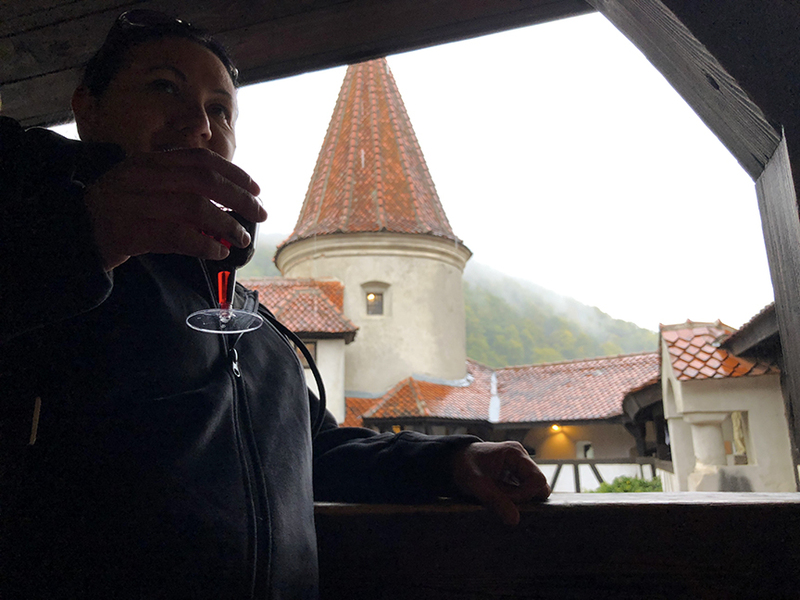 Deep in the heart of Transylvania, lies Poenari Fortress. A ruined castle in Romania, which was home to Vlad the Impaler, aka, “Dracula”. The fortress lies high on top of the Carpathian mountains. 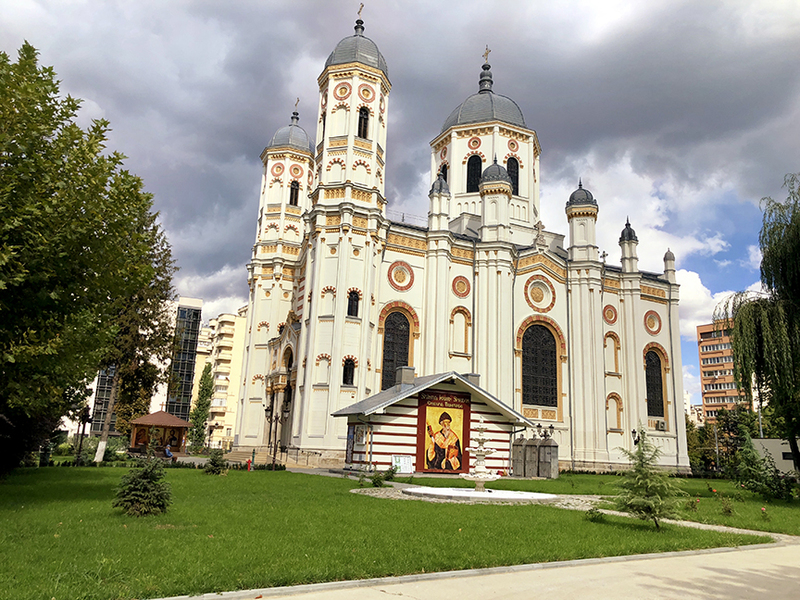 It was constructed around the beginning of the 13th century by Wallachians. 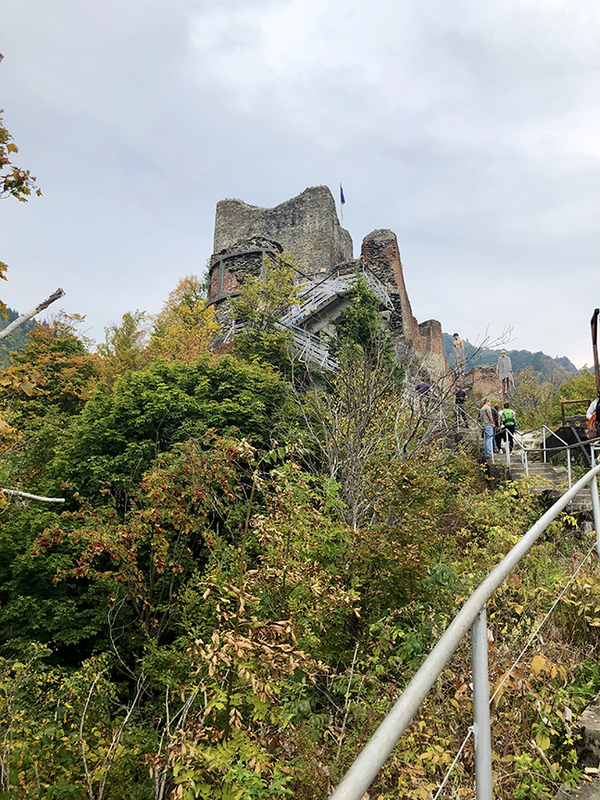 In the 15th century, realizing the potential for a castle perched high on a steep precipice of rock, Vlad III the Impaler repaired the structure, making it one of his main fortresses. Although the castle was used for many years after Vlad’s death in 1476, it eventually was abandoned again in the first half of the 16th century and was in ruins by the 17th century. A landslide caused by an earthquake brought down parts of the castle which crashed into the river far below. It was slightly repaired and the walls and its towers still stand today. Access to the citadel is made by climbing the 1,480 concrete stairs. 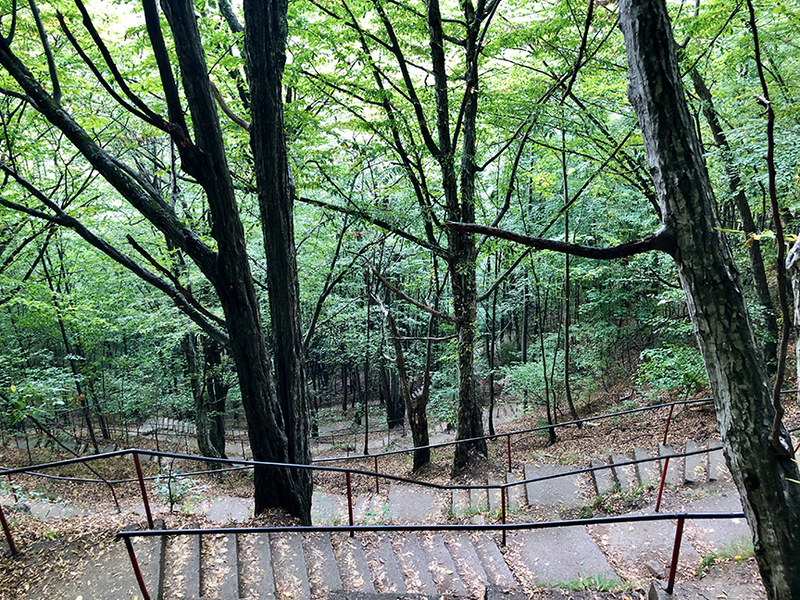 (My legs hurt for a whole week after this climb). 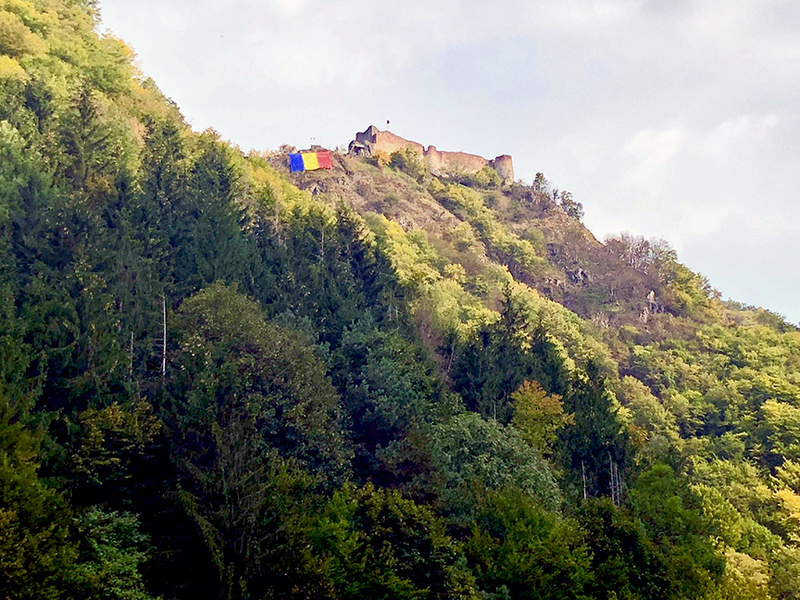 It is said that one day Vlad Țepeș was hunting along the banks of the river and had noticed the ruins of an old castle on top of a cliff on Mount Albina, a cliff surrounded by the Argiș river, and inhabited only by vultures and other birds of prey. He decided that it would be the perfect place for a defensive fortress, so he conceived the design to restore it to its former glory. Entering the castle ruins, you can wander at will, scrambling over original stones that have held up well over the centuries. 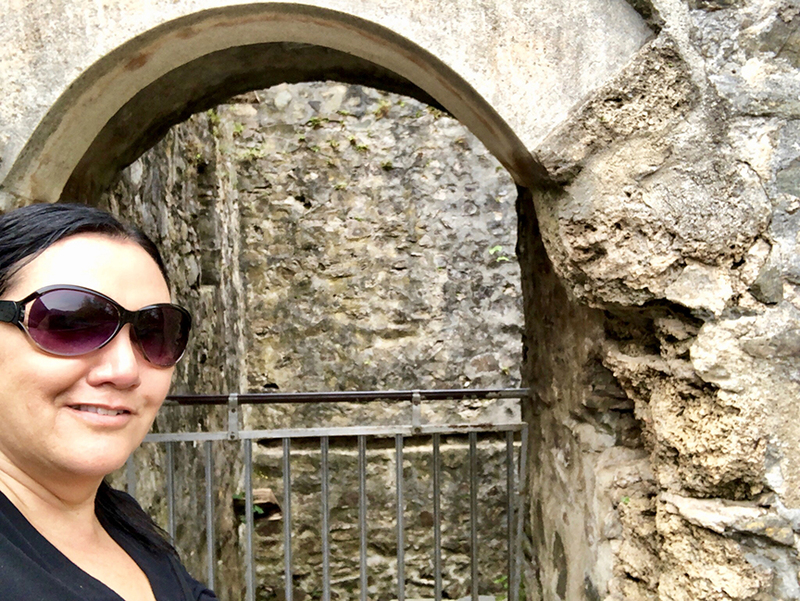 Here I am by the door that leads to the “dungeon”. 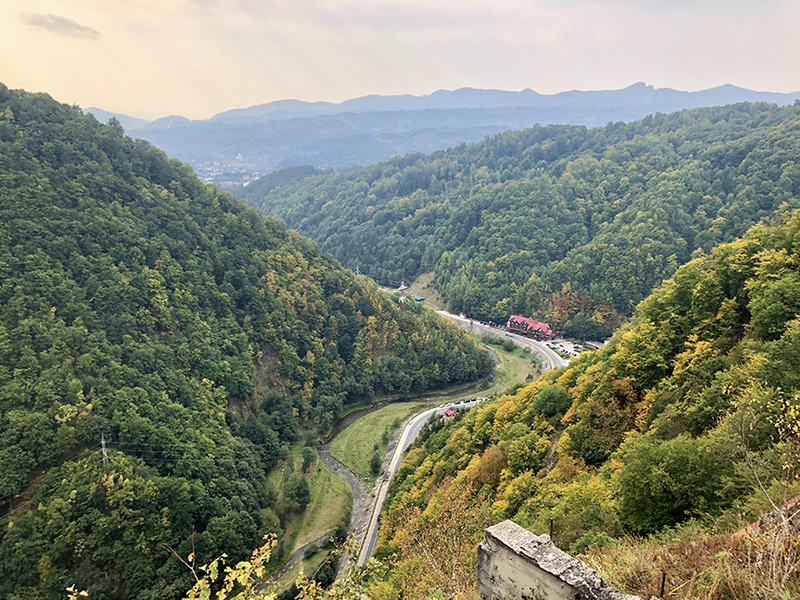 The views from the top of Poenari are amazing! I shot video footage with my GoPro, as soon as I am able, I will post the footage. 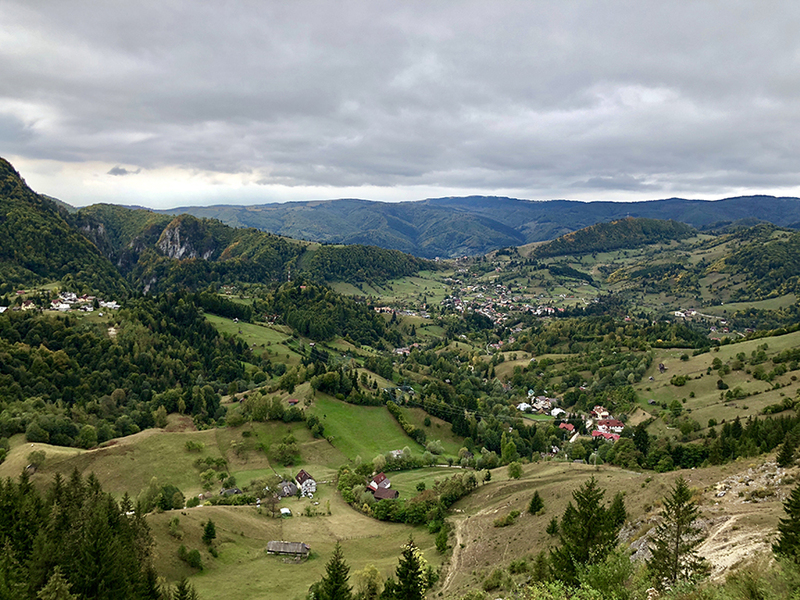 This is Transylvania in Romania. Full of life and everything was so green. 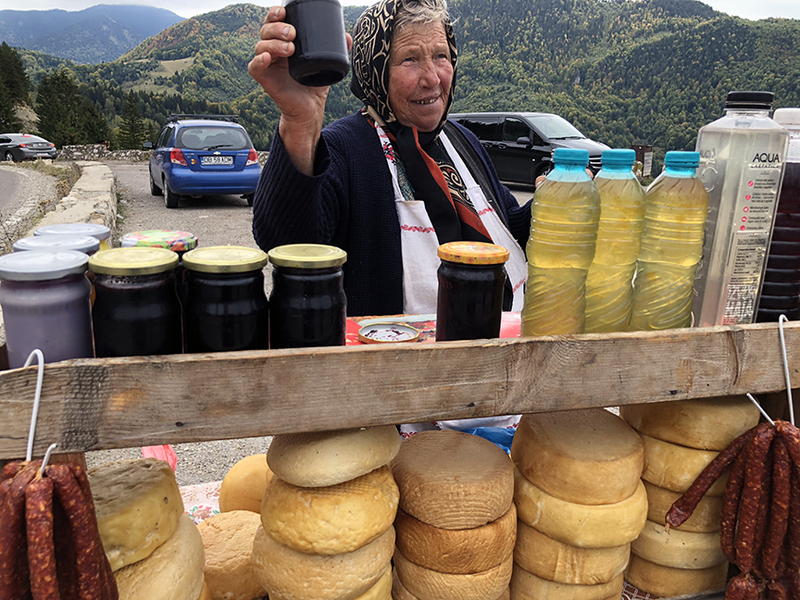 Our tour guide even stopped so that we could buy homemade jam from a Romanian local. 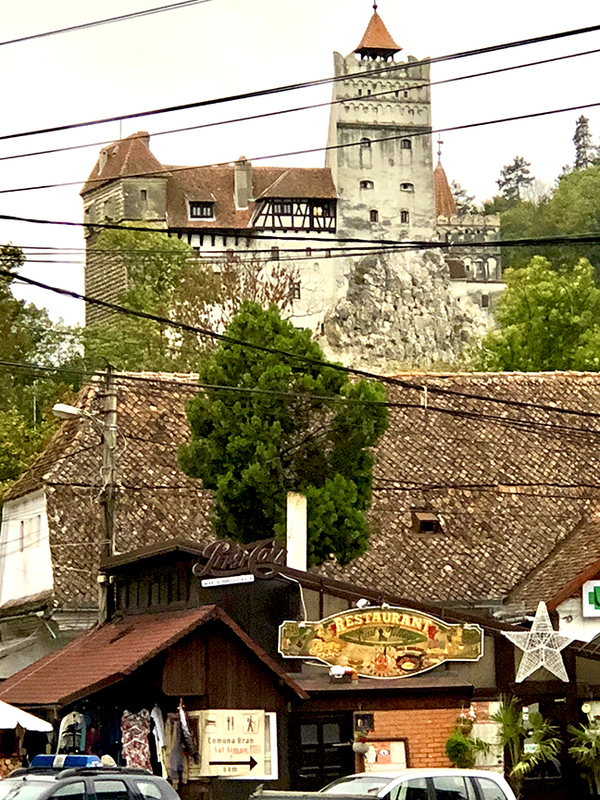 After leaving Poenari Fortress, we made our way to Bran Castle, a national monument and landmark in Romania. The fortress is situated on the border between Transylvania and Wallachia. 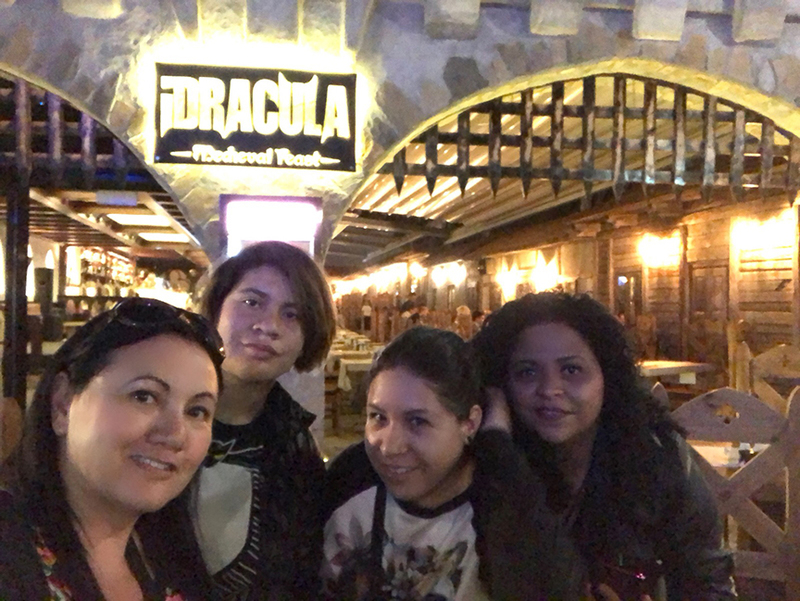 Commonly known as “Dracula’s Castle” (although it is one among several locations linked to the Dracula legend, including Poenari Castle and Hunyadi Castle), it is often erroneously referred to as the home of the title character in Bram Stoker’s Dracula. 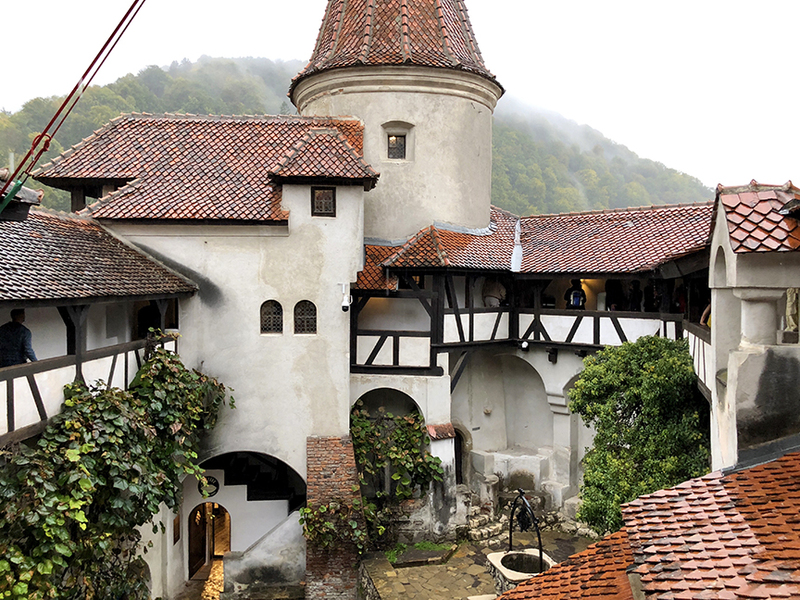 There is, however, no evidence that Stoker knew anything about this castle, which has very little associations with Vlad the Impaler, voivode of Wallachia, the putative inspiration for Dracula. 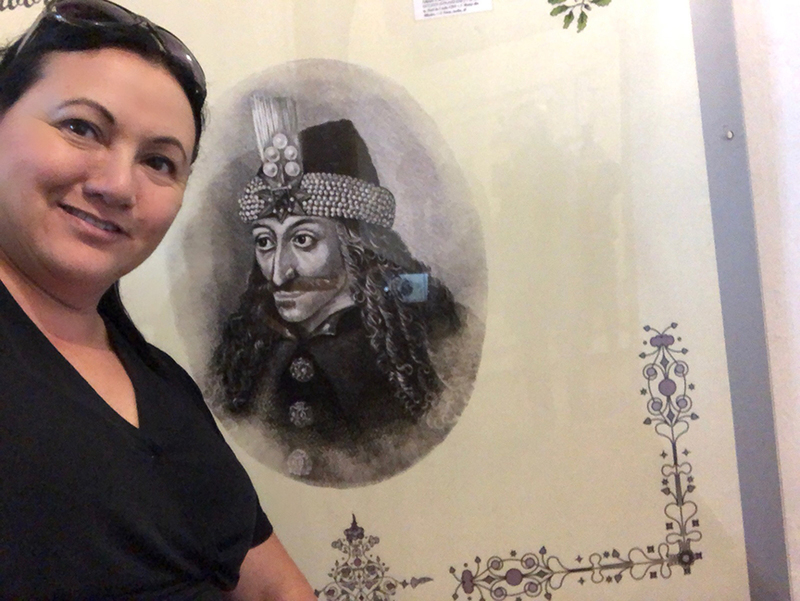 Here I am in a room dedicated to the one and only, Vlad the Impaler. The castle is so beautiful! It belonged to the Hungarian Kings but due to the failure of King Vladislas II (r. 1471–1516) to repay loans, the city of Brașov regained possession of the fortress in 1533. Of course, I had to “sneak” in a glass of red wine, like a real vampiress. 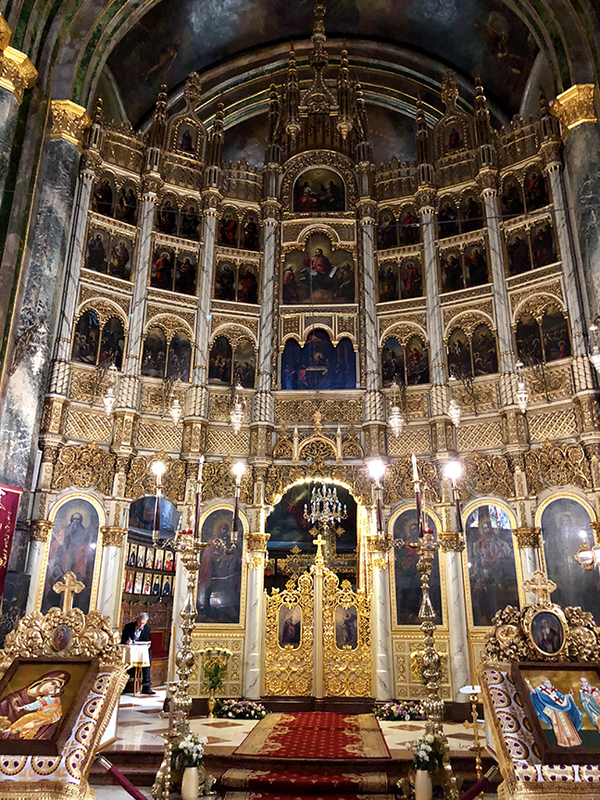 Today we flew out to Bucharest, Romania. We missed our plane so we had to board another flight and were only behind schedule by about 2 hours. 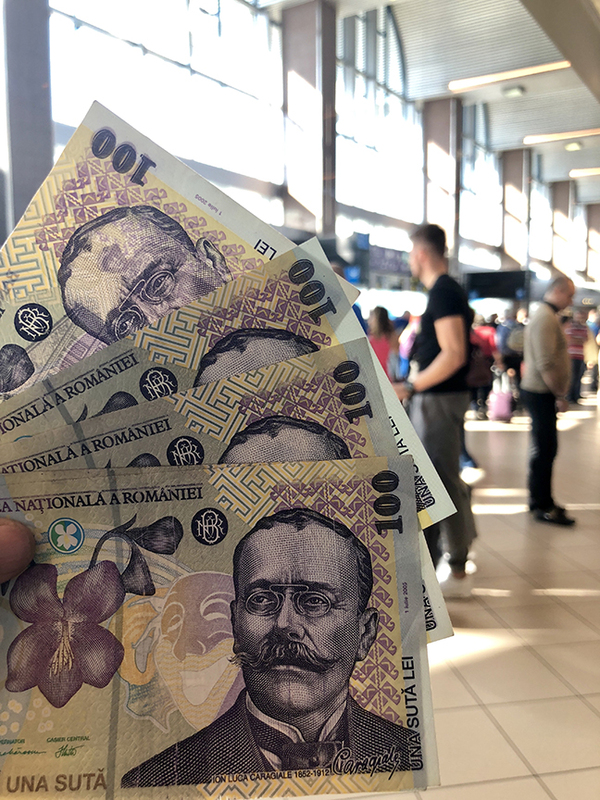 The currency used here is the Romanian Leu. What I noticed was that it was printed on really pretty paper. 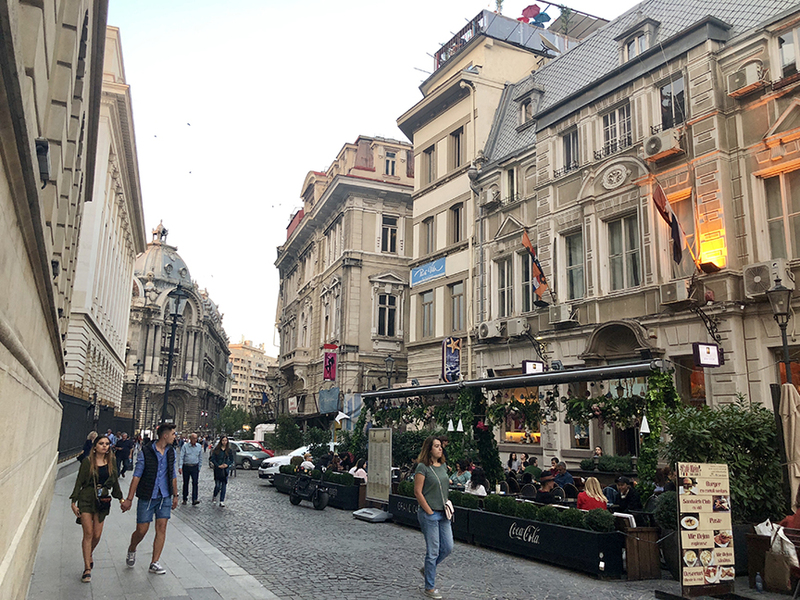 Walking through the streets of Bucharest. 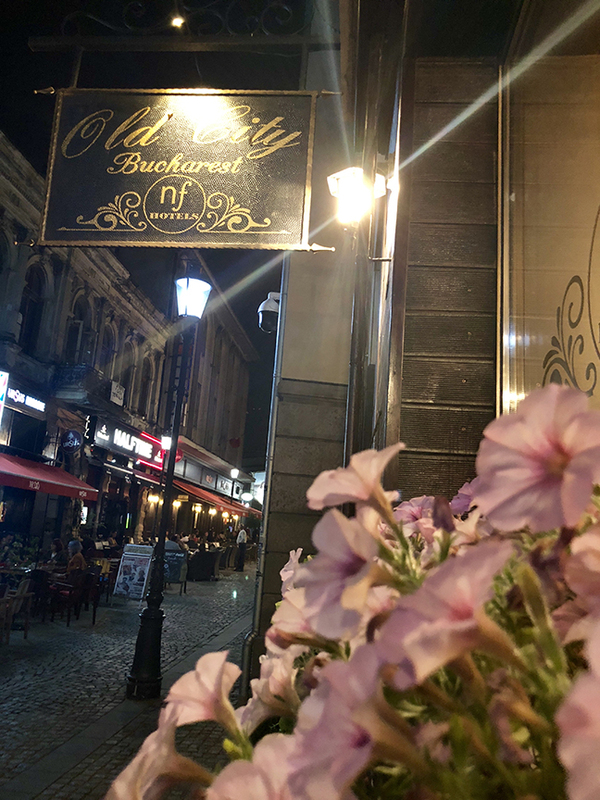 Our little quaint hotel, the “Old City Bucharest NF Hotel” right in the heart of a city full of life. 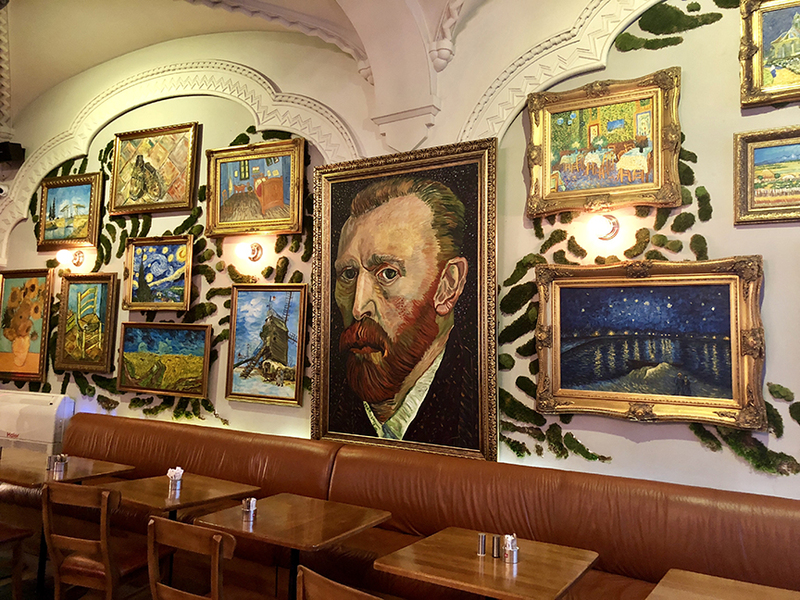 The Rembrandt Hotel on the right, with the Grand Cafe Van Gogh adjacent. 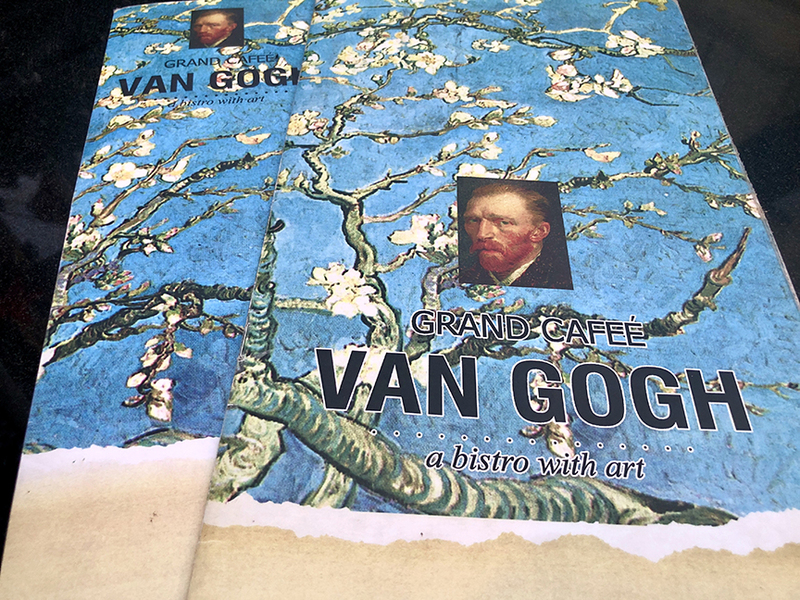 One of the menu designs of the Van Gogh Cafe, of course you know we had to eat here! 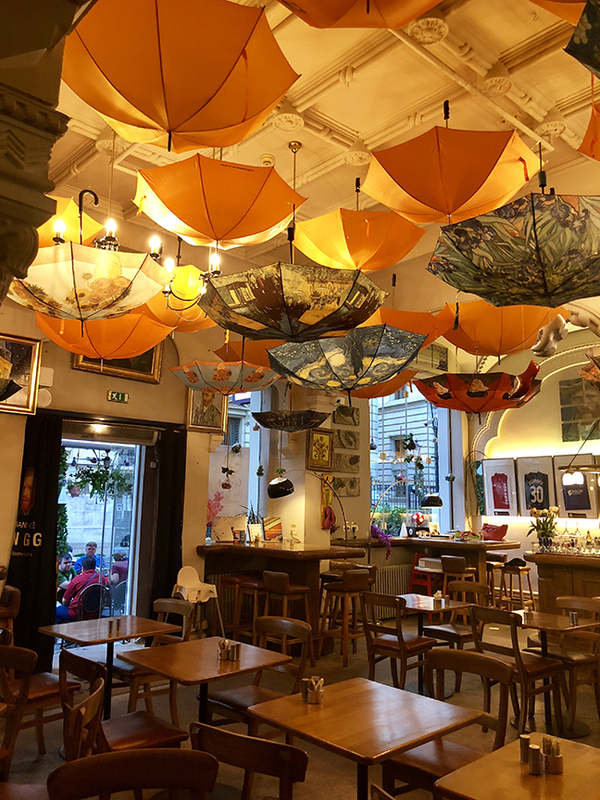 The inside of the restaurant is so beautiful. 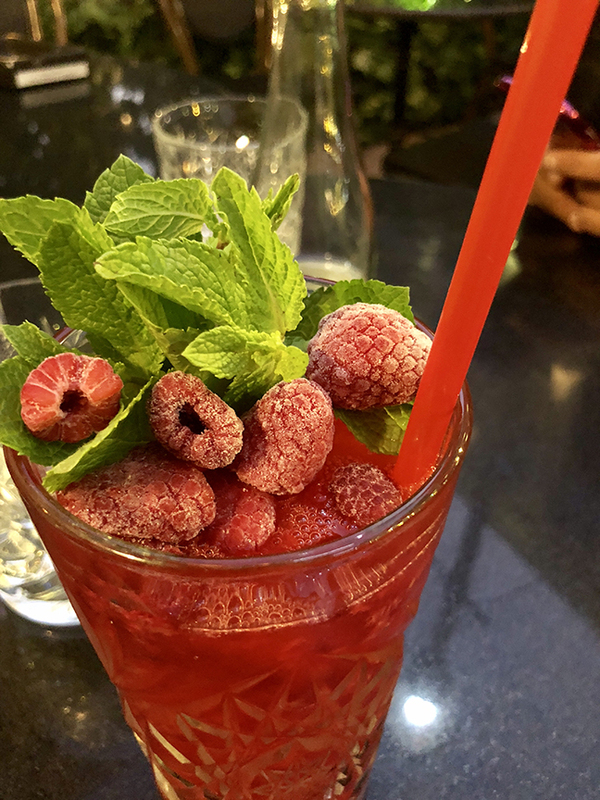 I ordered a raspberry daiquiri. 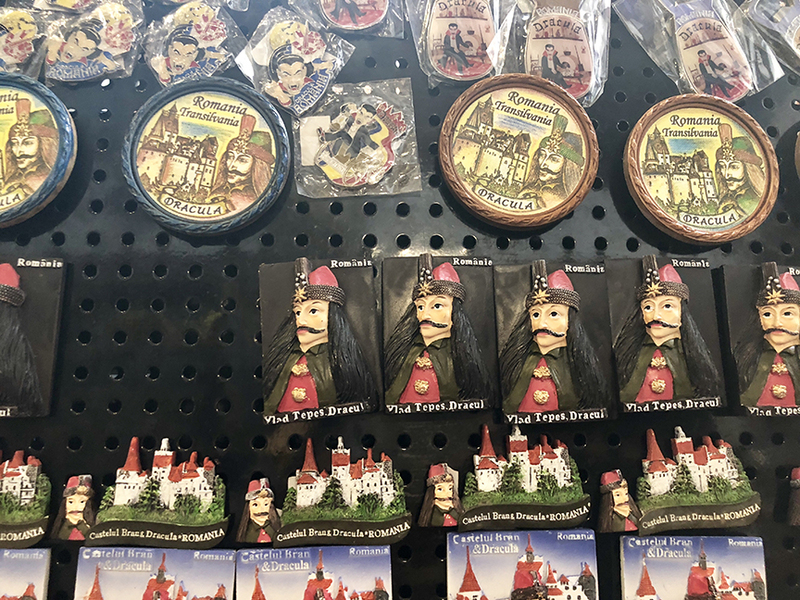 This town has tons of Dracula souvenirs and memorabilia. 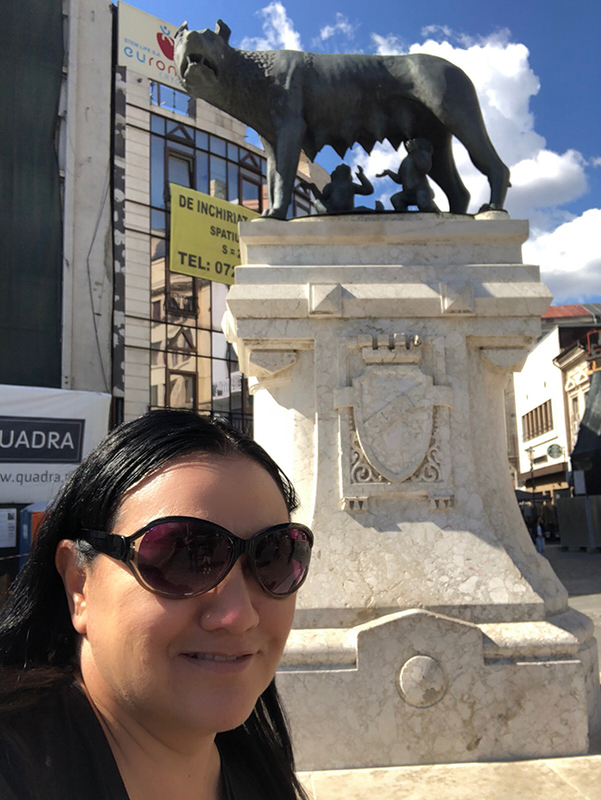 Here I am with my cousins, walking around checking out the rest of Old Town Bucharest.